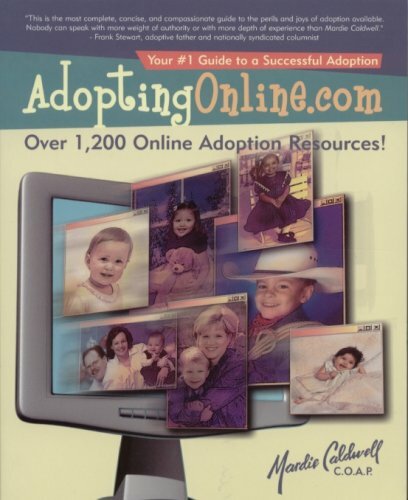 AdoptingOnline.com offers practical, easy-to-follow guidelines for anyone interested in adopting a child. Whether you’re adopting domestically or internationally or adopting an older child or an infant, this amazing book tells you everything you need to know. More than 1,200 adoption resources at your fingertips that will increase your chances of finding the child for you. Practical easy-to-follow guidelines for anyone interested in adopting a child! Simple techniques that thousands of adoptive parents have used to successfully adopt with the help of the Internet. Guidelines for writing and posting a “Dear Birth Parent” letter that works! Warning signs of scams and insights on how to pinpoint individuals who can hinder your adoption! Complete and up-to-date advice on safe and affordable adoptions. Proven techniques for finding birth mothers. Advice on how to safely network and screen professionals.